Burna Boy drops his mother as manager on Twitter. 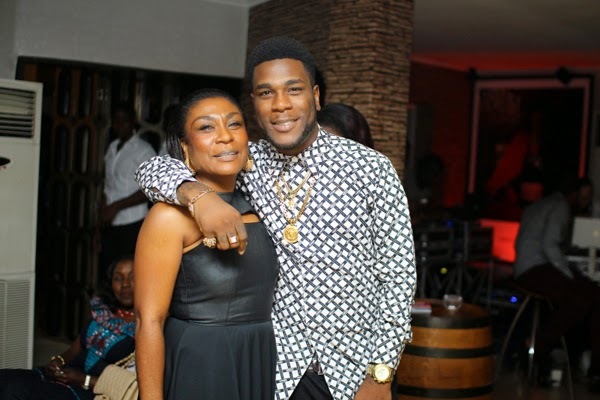 Burna Boy has announced that his mother will no longer be managing his music career. On Friday, July 11, 2014, the big shot dancehall act took to his Twitter account to update his fans on the situation between him and his mother, Bose Ogulu. ‘It’s been a long road to where I am today and my mother Bose Ogulu has managed me the best she could up till this point and am grateful…at this point in my life and career it is time to let my mother be my mother nd let my manager be my manager, therefor Bose Ogulu is longer my manager. all bookings and enquires for BURNA BOY should now referred to [email protected] thanks for your understanding (sic)‘, Burna wrote on his Twitter. Burna is however excited to have his mum back in his life. ‘So glad to have my mom/bestfriend back. No more business! !‘, he later wrote, deleting the previous tweets.